A new plan for regulations released by the U.K.. government Monday puts legal responsibility on tech companies for any harmful or unlawful content that appears on their properties. This means tech giants can face big fines if they don't remove things like terrorist videos or hate speech in a timely fashion. Why it matters: If passed, the proposed laws would force tech companies to operate with much more rigor when policing content on their properties. While the law only extends to the treatment of content within the U.K., it could have major implications for how tech companies operate and are regulated globally. The details: The proposed regulations would apply to any company that allows users to share or discover user-generated content or interact with each other online. It calls for even stricter requirements for companies to take tougher action around content related to terrorism, child sexual exploitation and abuse. It also demands that companies make it easier for users to file complaints and makes it mandatory for them to submit annual transparency reports, something many companies do already. The plan calls for a new, independent regulator with powerful enforcement tools to oversee the enforcement of the new laws. "We are consulting on powers to issue substantial fines, block access to sites and potentially to impose liability on individual members of senior management," the plan says. The big picture: The appointment of an internet regulator is notable because it addresses a problem that many countries around the world have been grappling with. Since most government structures were created before the internet existed, it's often difficult to determine which existing government body should manage internet regulations. Europe has taken the lead on policing tech companies on many issues ranging from privacy to competition to trade. 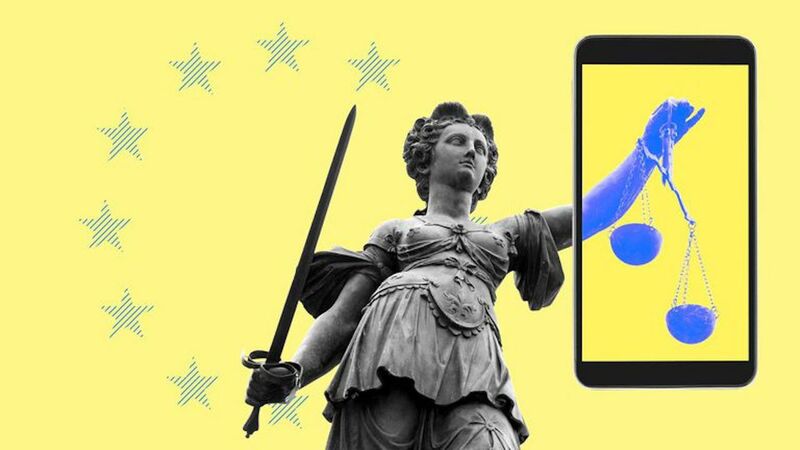 Just last week the EU passed a major copyright law that require sites like Facebook and Google to pay a fee when they summarize news stories and link to them. The proposal comes against the backdrop of Britain's huge Brexit crisis, which could threaten Prime Minister Theresa May's hold on power as it continues to split the nation's political parties. Bottom line: U.K. regulators say they're doing this because they want to make the internet safer for all people online, especially kids. But without government intervention with big tech platforms, the government doesn't think that is possible. “The era of self-regulation for online companies is over."